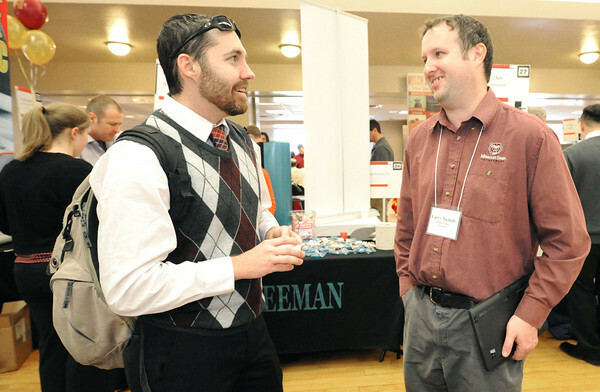 Pittsburg State University junior Rocky Davied, left, talks Thursday with Larry Nichols, of Missouri State University about the Masters of Business Administration program at MSU. Davied was attending the PSU Career Fair. which featured about 90 businesses and educational institutions.